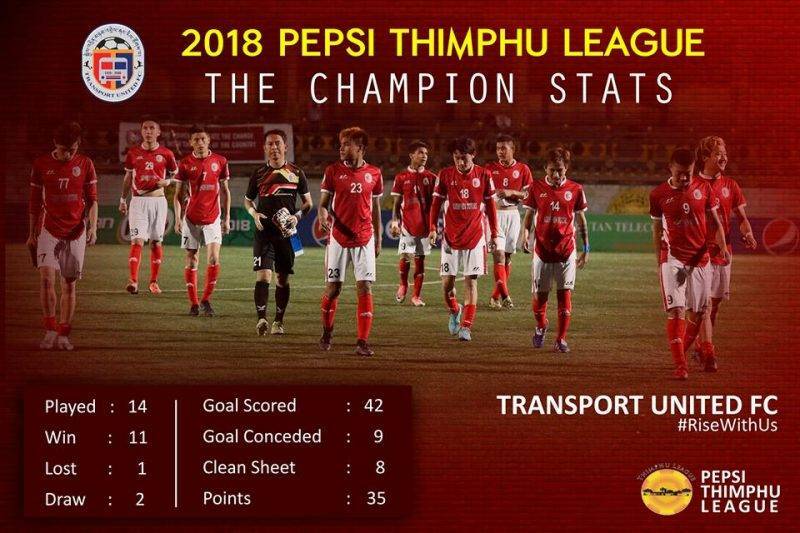 Transport United clinched the PEPSI THIMPU LEAGUE 2018 with 11 wins, 1 loss and 2 draws from 14 games amassing 35 points beating THIMPU City FC in the final game 1-0 to be crowned as Champions. Pepsi Thimphu League began in April and Transport United played their first game on the 24th of April, 2018. Since then Transport United have played 14 games and have managed to score whopping 42 goals. Transport United have 12 different goal scorers in this edition of the league. 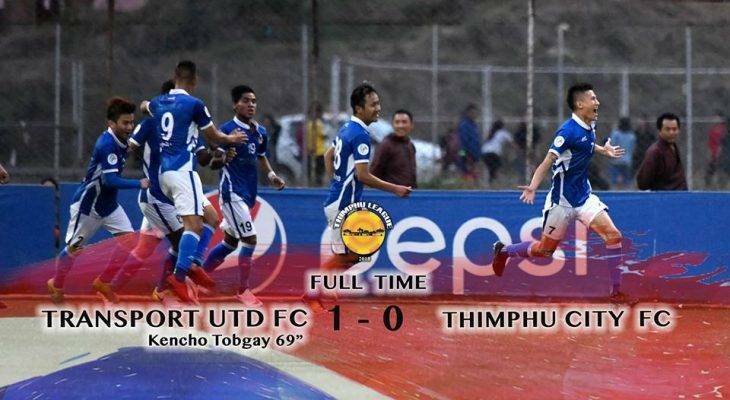 Transport United went into the game needing all three points over City and title rival Thimpu City FC and it was Kencho Tobgay’s 69th-minute winner that proved to be the difference as Transport United lifted the PEPSI THIMPU LEAGUE TITLE.